When it comes to cleansing, I’m a big believer in ‘the more thorough the better.’ I hate the feeling of having makeup on by the end of the day, and I’m not sure if there is anything which is more heavenly than that feeling of a freshly cleansed and moisturised face. 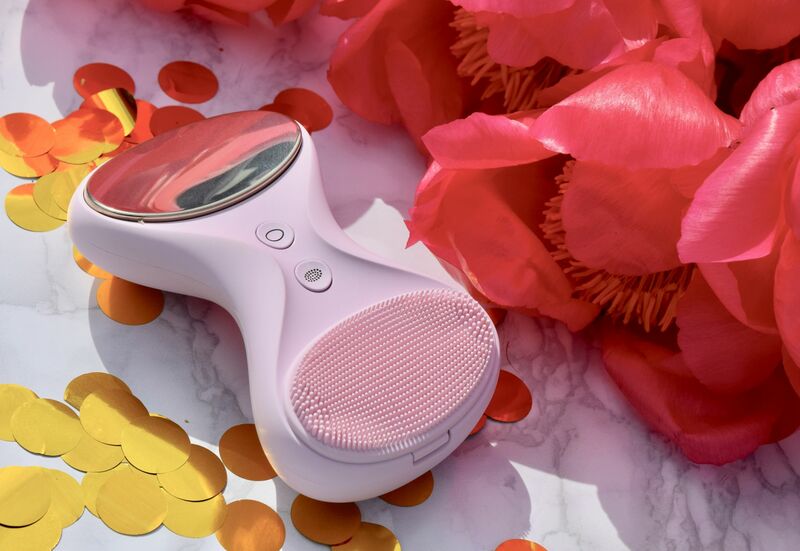 So, in my efforts to keep my skin feeling as squeaky clean as possible I stumbled upon the BeGlow – a brand new device which promises to be an all-in-one skincare device. As you can imagine, I was more than intrigued! 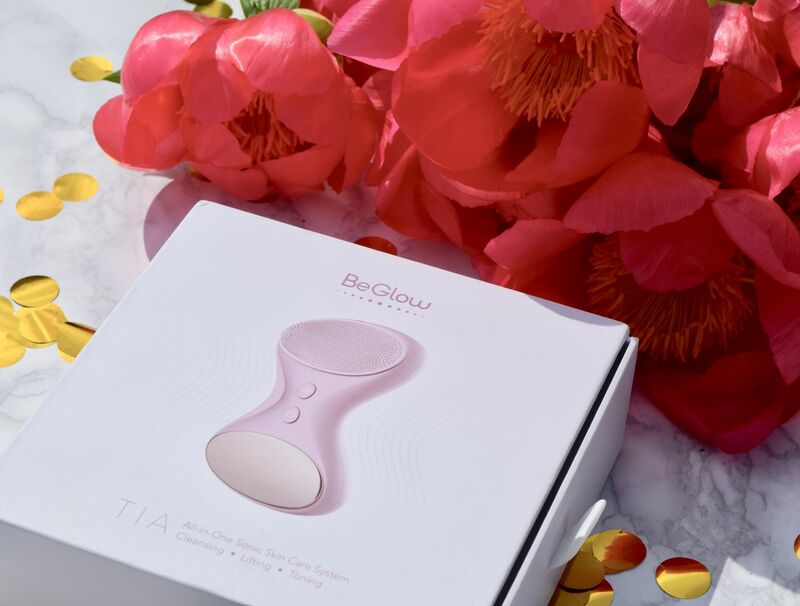 Rather than most of my beauty devices, which focus on a single aspect of skincare – the BeGlow TIA promises to do it all – cleansing, anti-ageing and contouring. 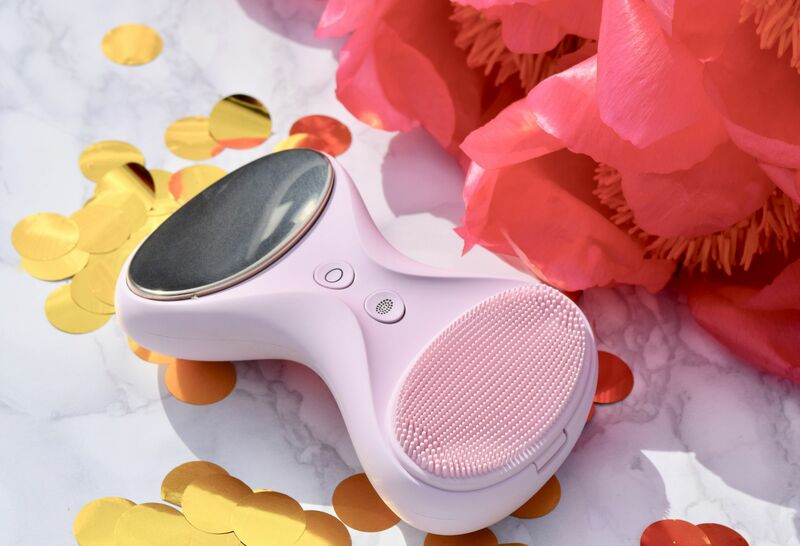 Its a big claim from such a dinky device – each of the sides fits comfortably in the palm of my hand, and if you’re off on travels this summer, this would also easily slip into a beauty pouch. 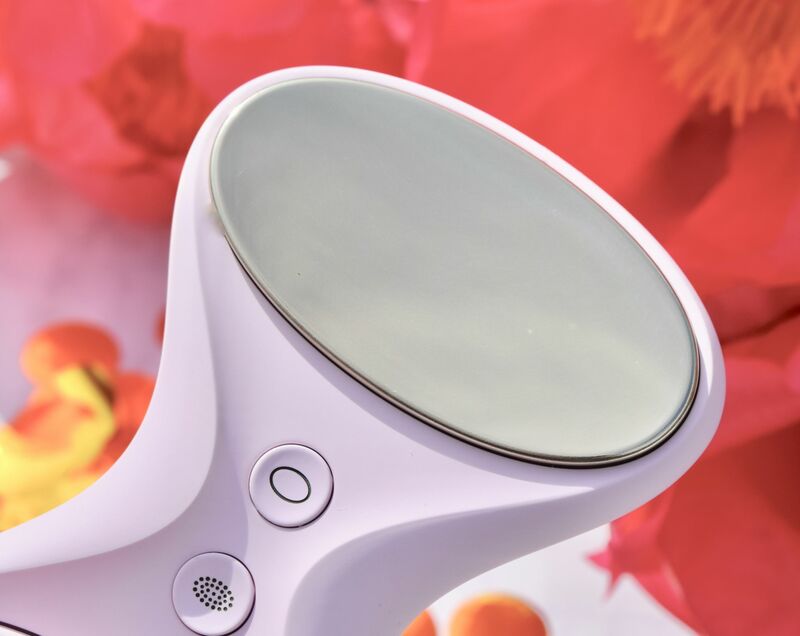 The first end has a silicon brush which you can use for cleansing morning and night. Rather than other cleansing brushes which use nylon brushes, the silicon is super hygienic, as well as being gentle on skin. It’s also easy to share the BeGlow, as you can slide your own brush head on and off thanks to the magnetised backing. The BeGlow Tia is completely waterproof, so you can keep it in the shower for easy access. 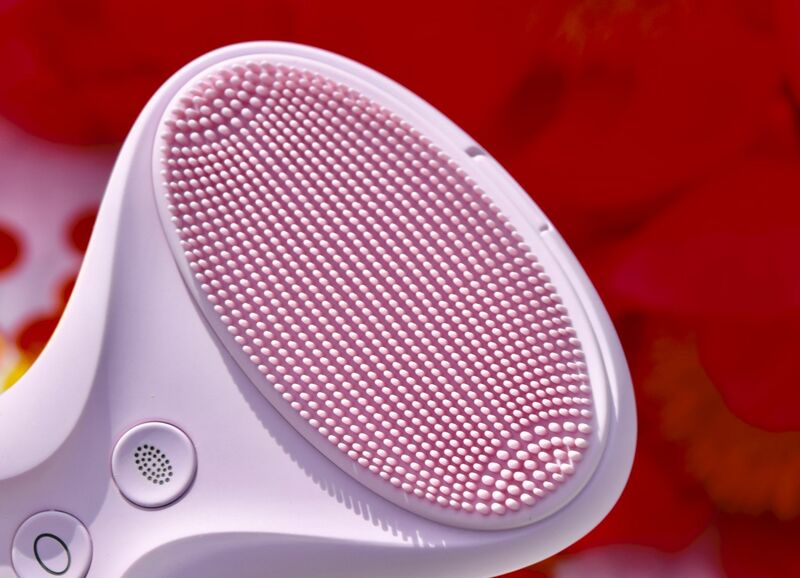 The combination of sonic waves and the silicon bristles give skin a thorough cleanse without irritating skin. After wetting the brush head, I squeeze cleanser directly on to it, then get to cleansing. The vibrations mean that impurities are removed easily without irritating skin. Then, once I’m out of the shower, I apply my serums and moisturisers as normal. Once they’re on, I then use the side with the titanium plate. 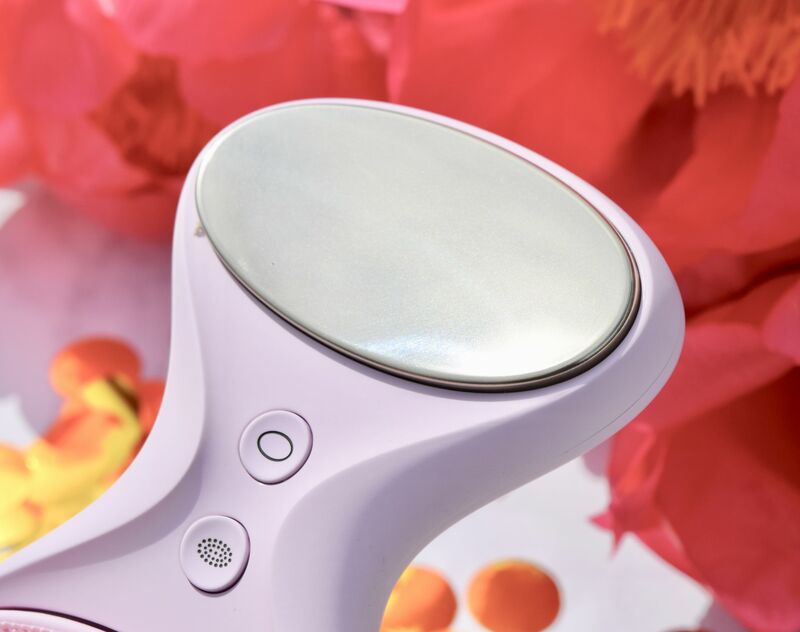 Applied to wrinkle-prone areas like the under-eyes the pulsations can help products sink into the skin, as well as to improve blood circulation in the area. It means that fine lines can look visibly reduced, and it cuts down on under-eye puffiness too! The feel of the titanium plate is so cooling and soothing, so it’s perfect if you’re combating the effects of a late night, or hay fever. 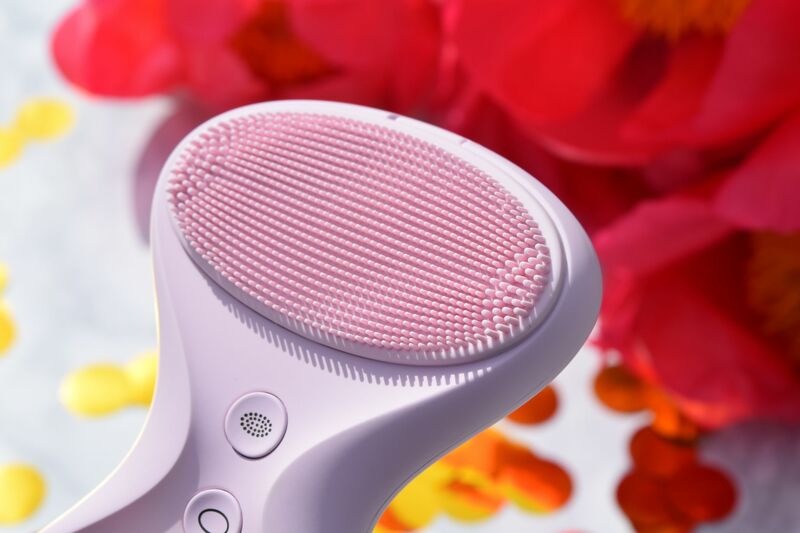 The frequency that the plate pulsates at also changes depending on where you use it, so pores look smaller and skin looks and feels healthier. The third way that I’ve been using the BeGlow, is as a contouring device. Rather than using either of the plates – you simply use the back of the device to sculpt. It’s particularly effective on the jawline and cheekbones. It works to tighten skin and create an all-round more sculpted look, and honestly, who doesn’t want sharper cheekbones? It works to exercise your facial muscles, so with regular use the BeGlow will make a real difference to skin tone and its appearance. The BeGlow TIA is such a game changer of a product, and the fact that it has such a range of uses, really makes it worth the investment! It’s available exclusively from LookFantastic for £199 and you can find it here.